We are happy to introduce Megan Schroeder and Henry Ng’enda, the new members of the Ona team. Harvesting organic parsley near Watsonville, CA. We are delighted to share with you this blog post written by Ona Impact Grantee, Adam Calo. Adam is a Ph.D. candidate at the University of California, Berkeley who is doing great work using Ona in his Farmland Monitoring Project. In his guest post, Adam tells us about his project and the data collection process with Ona. In my early university days, I trained as a field ecologist. I long had the idea that emerging information technologies could make data collection more impactful and be used to help farmers better understand the ecology of their farms. However, during my Ph.D. program at UC Berkeley’s Department of Environmental Science, Policy, and Management, I came to realize that the crucial barriers farmers faced were not technical, but rather political. Understanding the ecology of their farms was never really a problem. Their decisions were constrained instead by the agricultural policies embedded in the California landscape. It was their autonomy as a tenant farmer, their inability to access loans or reliable markets, and the dearth of quality land available for their agricultural pursuits that impacted their decisions. All of this led me to think about how tools that facilitate bottom-up data collection and information sharing could be applied to more socio-ecological systems, like smallholder agriculture. Mekdim Ashebo is a junior at Harvard University who joined Ona as a software engineering intern. In this interview, Mek tells us about his experience at Ona, his projects and what he enjoyed about Nairobi. Mek sits at the center of attention on his last day. What projects were you involved in at Ona? The core project I was involved in was one on tracking early child development. I assisted in the design of an enumerator bot that could make it easier for health workers to track the development of children under 5 years. With leading technology companies taking the route towards artificial intelligence, it comes as no surprise that Ona is following suit. The bot, called Sofia, interacts with mothers/caregivers via Facebook Messenger or Telegram to collect data about their children. She does this by asking the mother several questions about her child’s health like, the child’s ability to walk on their own or their ability to say certain words. The project is currently being piloted in Indonesia. I also participated in some tasks for OpenSRP and RapidPro. We are thrilled to announce that we added a RapidPro integration to Ona Apps. RapidPro is an open source messaging platform that provides a way to visually build interactive messaging flows (SMS, IVR, Telegram, Facebook Messenger) using its intuitive drag and drop interface. This integration means you can connect a form in your Ona account to a flow in RapidPro and all of your incoming form submissions will automatically be pushed to that flow. By integrating with RapidPro, we are unlocking tremendous new possibilities. Below are 3 things you can do now to get the most out of this integration. You can automatically push form submissions from your forms in Ona to RapidPro or TextIt, which you can use to trigger SMS and email alerts. Even better, you add logic in your RapidPro flow to evaluate submission data to determine whether to send a SMS or email. Our team has built alerts to keep track of Ona Impact Grant applications. To do this, we connected our grant application form to a RapidPro flow that emails our team whenever we receive a new application. 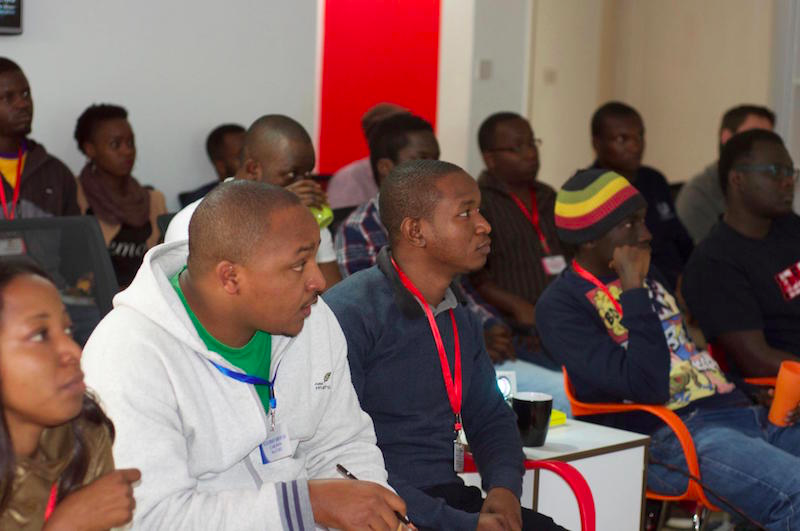 A special thanks to everyone who attended the Python Expose at the Python Nairobi Meetup.